A terrible Darkness awakens in Egypt! Solve devious riddles to defeat this evil! Ancient Egypt, the Age of Pharaohs. Darkness threatens the land. The Order of Priests trick this evil energy and confine it deep underground, there to slumber in the eternal subterranean night... Egypt 1932, a time of adventure. After 3000 years, the evil is awakened – now only you can stop it! Ancient puzzles guard the mighty Crystals of Power. 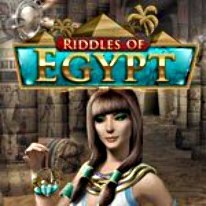 Journey to the Port, Oasis, Temple, Pyramid and finally the Sphinx itself to collect the pieces needed to defeat the Darkness once and for all.